The group volunteer opportunities are perfect for schools, churches or organizational service projects. It is a fun way to spend time with each other while collectively making a difference in your community. For group projects, please contact the office 3-4 business days prior to the day of service. In April, 2016 Boeing celebrated a huge milestone by committing 100 volunteer hours in a single day. 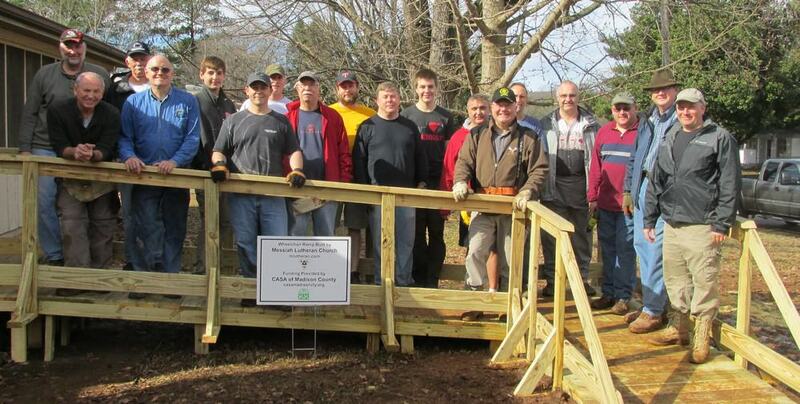 These volunteers built 10 wheelchair ramps as a part of their Global Service Day. Partnerships with teams like Boeing, help CASA accomplish our mission of helping our aging and homebound neighbors remain safe and independent in their homes as they age in place.